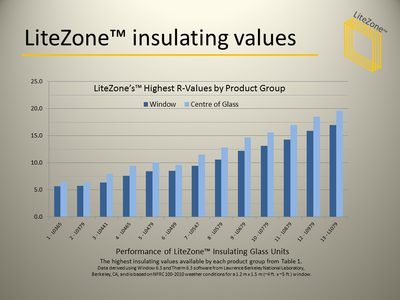 Scalability - LiteZone Glass Inc.
LiteZone™ glass units can achieve insulating values ranging from R3.1 to R19.6 centre of glass and a wide range of other performance characteristics (e.g. 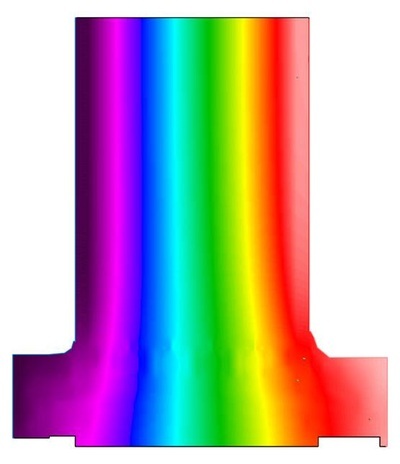 shading coefficient, solar heat gain coefficient, visible light transmission, sound attenuation, etc.). 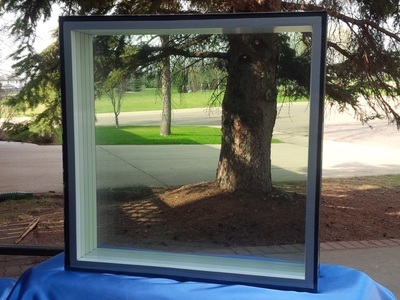 It achieves this scalability by using different fiberglass spacers each designed to allow for a specific number of intermediate layers of film within the glass unit. 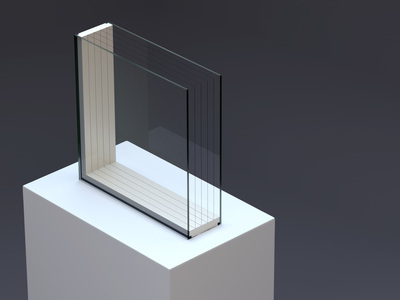 Desired performance values can be achieved by varying the number of films (between 1 and 8), the number and type of low-e coats used, the size of the gaps between the layers, and the overall thickness of the glass unit (between 1.75" and 7.6" thick). 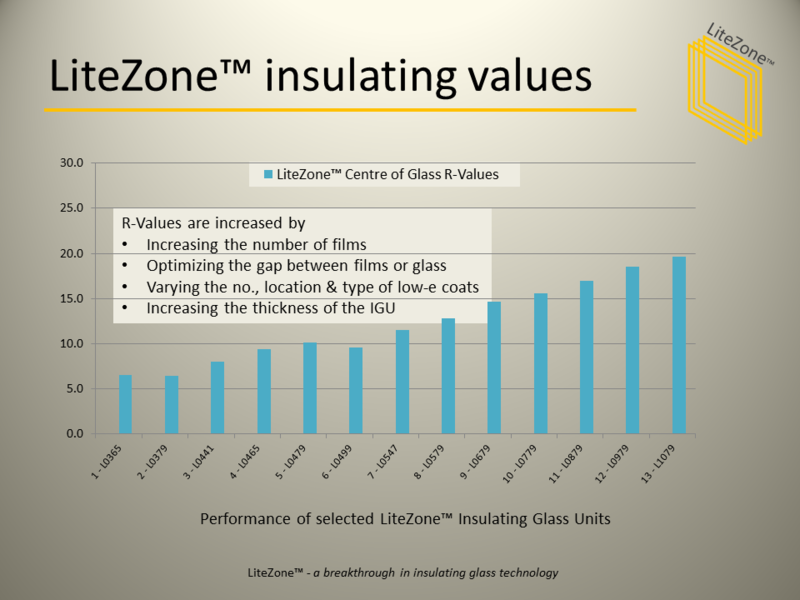 By increasing the number of films or by increasing the number of low-e coats or by doing both, and by optimizing the gap sizes for each configuration (wider with a low-e coat and narrower without a low-e coat), the insulating value of a glass unit can be increased.